Thank you WildBrain for sponsoring this post. All opinions are 100% our own. If you liked our post on the YouTube channel Kiddyzuzaa about kid princesses, or if your kids love slime, squishy toys and blind bags then they are going to love today’s Cool Mom Pick, Ellie Sparkles! Remember the cool game shows we used to watch on TV? Well now YouTube has its own version for the next generation: Introducing Ellie Sparkles! Ellie Sparkles is the ultimate toy game show host, who is always happy and ready to have some fun with the latest and greatest toys! If your kids are anything like mine they love watching toy reviews and unboxing clips on YouTube, but Ellie Sparkles is so much more and is a lot better quality. Also, because it’s a WildBrain channel, I can also relax knowing it is safe and kid-friendly. 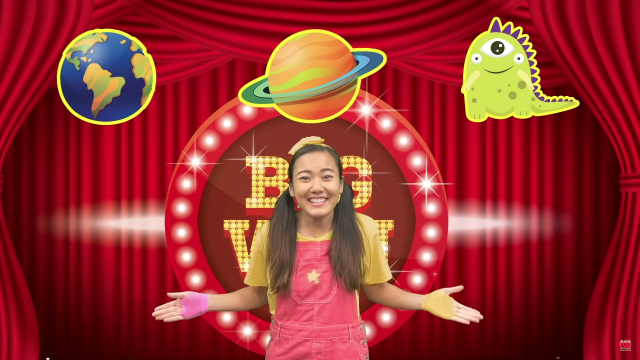 Look no further, Mom, as we give you our Cool Mom Pick for best YouTube Toy Game Show channel, Ellie Sparkles by WildBrain. 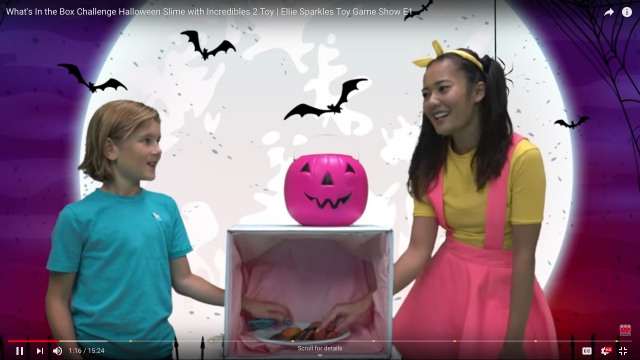 In Real Life– This is the newest Ellie Sparkles where the real life Ellie is presented with a toy challenge in each show that she has to solve. Equipped with her giant spinning wheel and mail box Ellie usually hangs inside at her hangout but sometimes she will venture out on to the streets of New York, or even further afield to big Toy Company Headquarters! Play Doh Stop Motion– Who wants to go to Toy Town!?! This is my kids favorite format of Ellie because The Prince and all of Ellie’s other toy friends like LOL Surprise dolls and Paw Patrol are in each episode! Expect to have lots of fun and see lots of cool toys! My kids love the episode with LOL Confetti Pop dolls playing with Ellie Sparkles the best! Narrative Toy Play- The Narrative Toy play format gained Ellie her popularity! In each video Ellie unwraps and plays with popular toys while she examines them! She loves to play games to bring her toys to life so you will often find her breaking out the ‘Giant Spin the Wheel’ to have some fun! 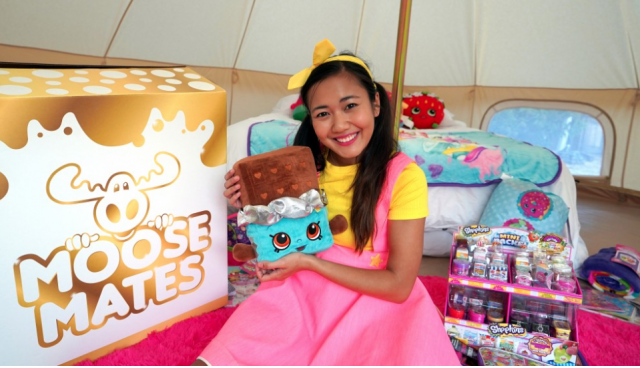 With over 1.4 million subscribers, her content is a hit among kids aged 3-6. Also, Christmas coming up, I find channels like Ellie Sparkles a great way to determine what my kids want for presents! Ellie Sparkles is the star of all three formats and is someone I don’t mind my kids watching as she is very childlike and always enthusiastic about the world around her. She is very curious by nature and wants to find out everything there is to know about the toys she is reviewing. You won’t miss out if you are wondering about a certain toy because her toy reviewing technique is meticulous and she goes at a pace that even young children can understand. There are so many unhappy and inappropriate channels on YouTube that review toys so finding Ellie Sparkles really was a breath of fresh air! She reviews and plays with the best and newest toys so I don’t mind my kids watching her episodes, especially if a little bit of her enthusiasm and happiness rubs off on them! 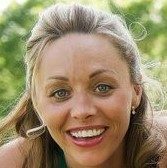 Producing and managing the channel behind the scenes is WildBrain and their dedicated Channel Managers. 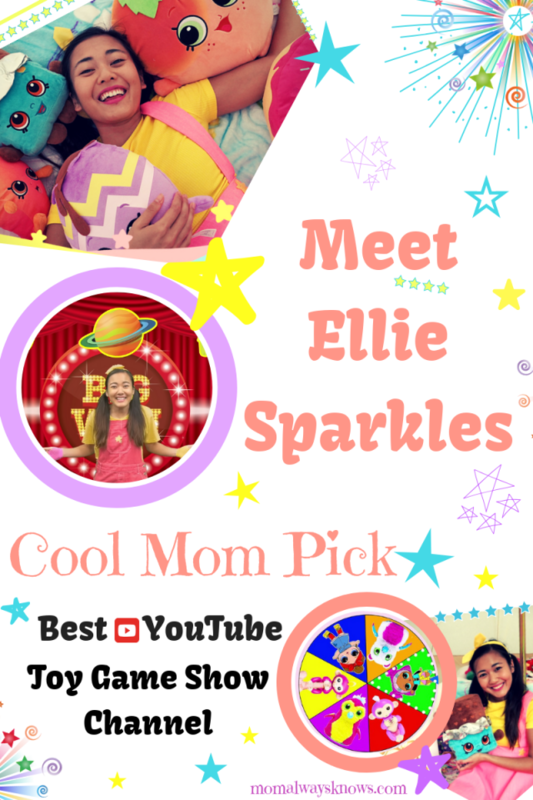 They work hard to make sure our kids are only exposed to the good stuff online, not the bad and for these reasons Ellie Sparkles is the Cool Mom Pick for best YouTube Toy Game Show channel. You can check them out videos from Ellie Sparkles on YouTube here! Enjoy!